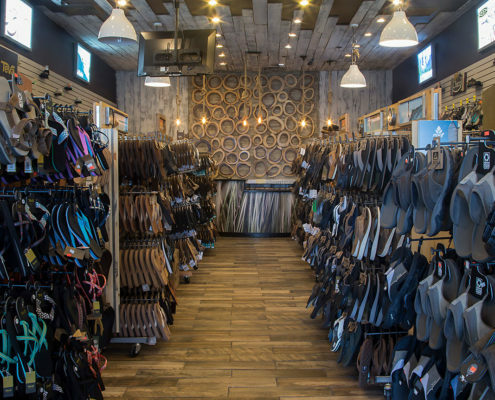 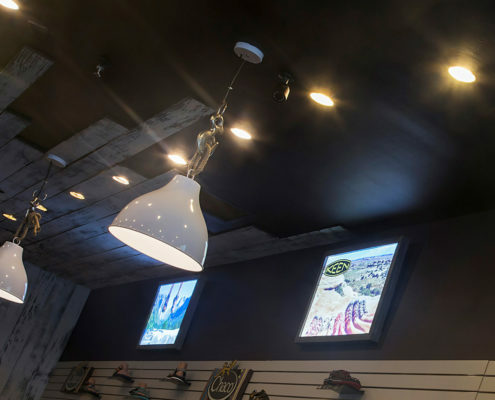 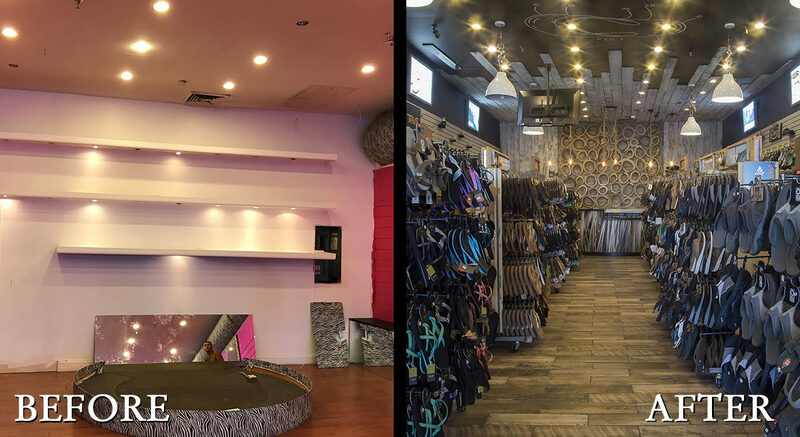 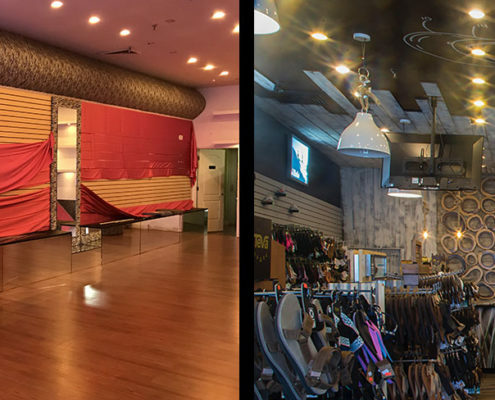 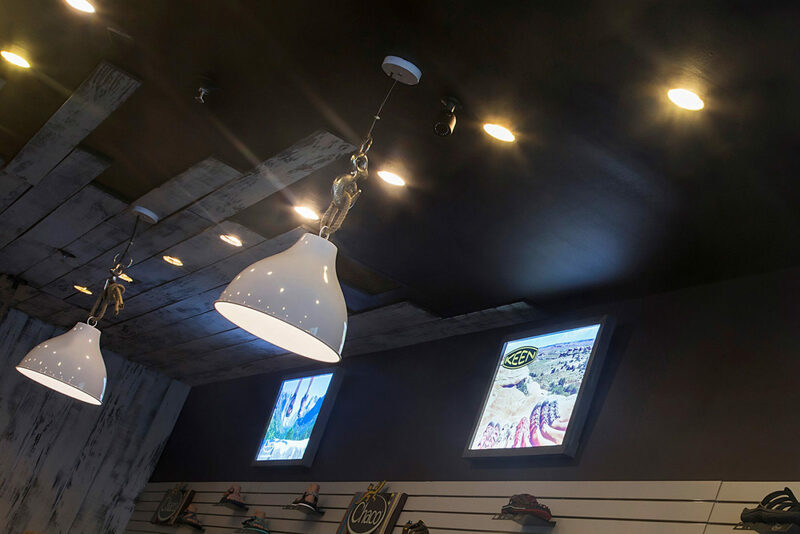 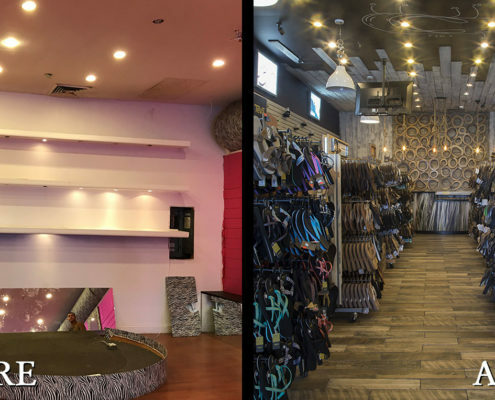 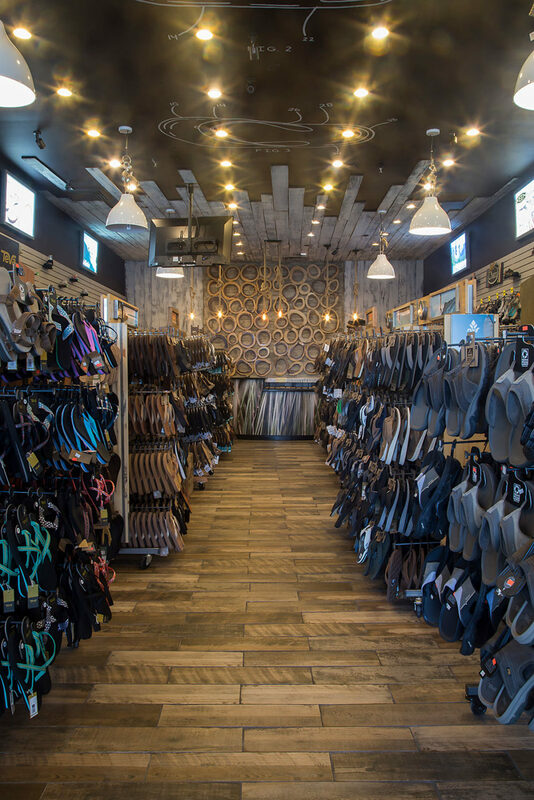 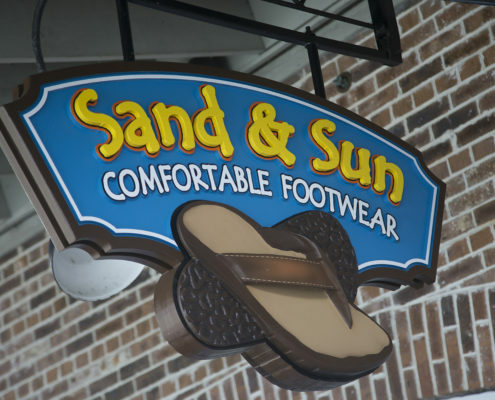 For this Broadway at the Beach location, the client requested a retail space that would better showcase their quality footwear. 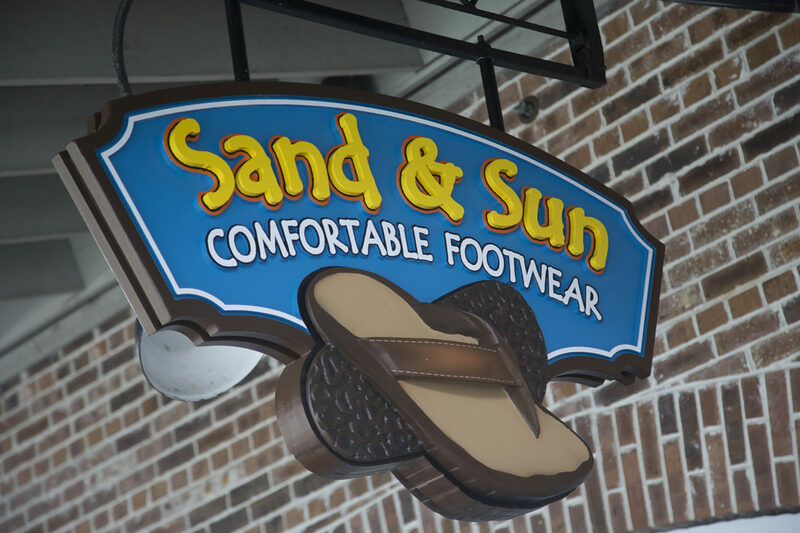 Many of the brands on display are made from natural, eco-friendly materials and specifically designed for outdoor activities. 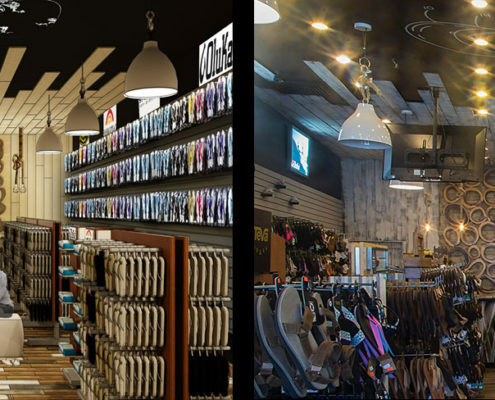 The design solution was to take advantage of this feature, creating a space that would represent the product better. 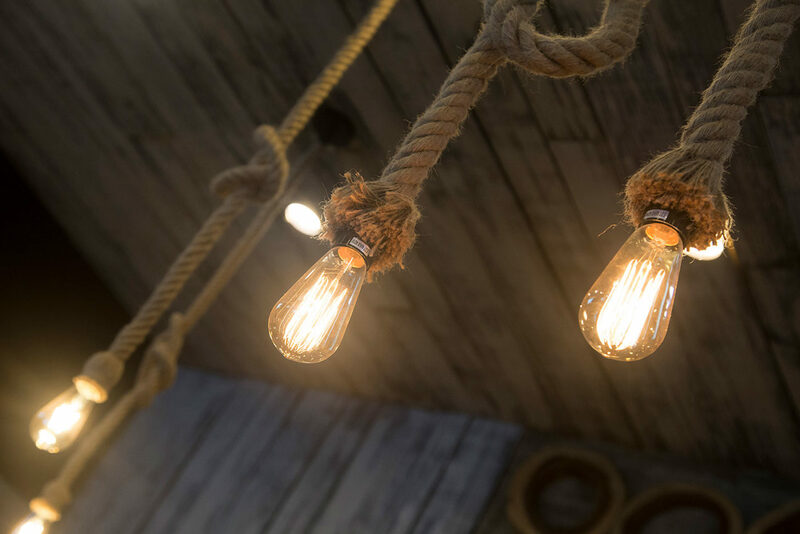 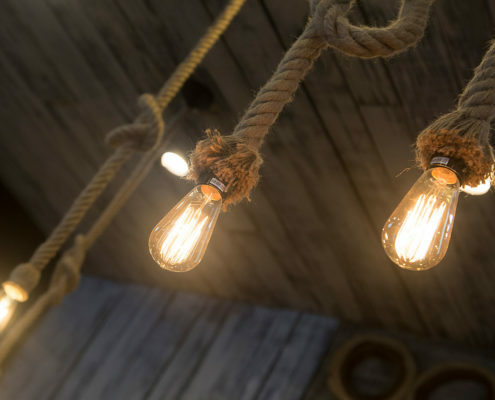 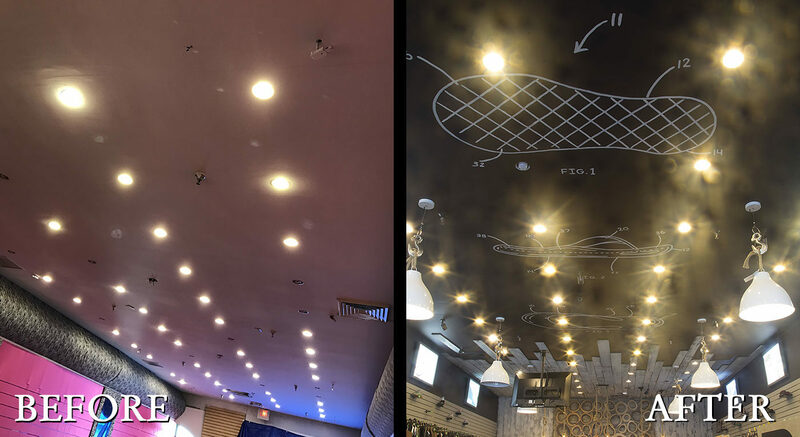 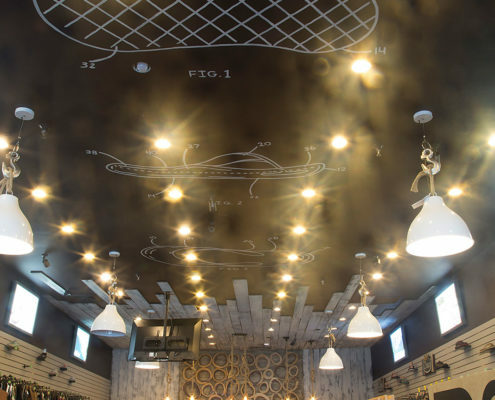 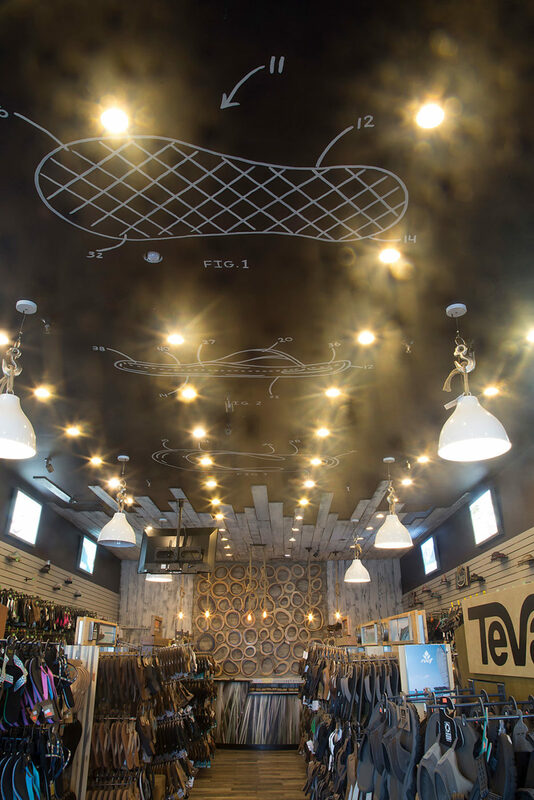 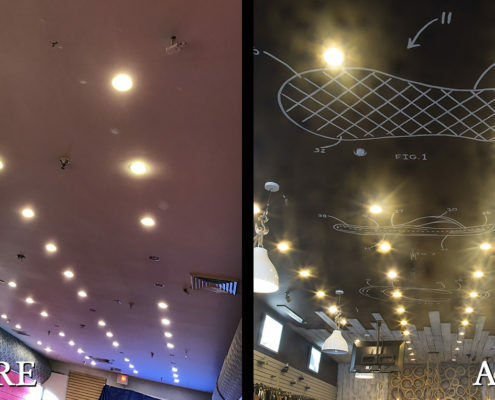 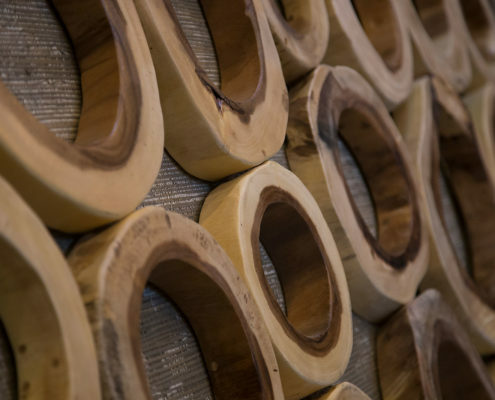 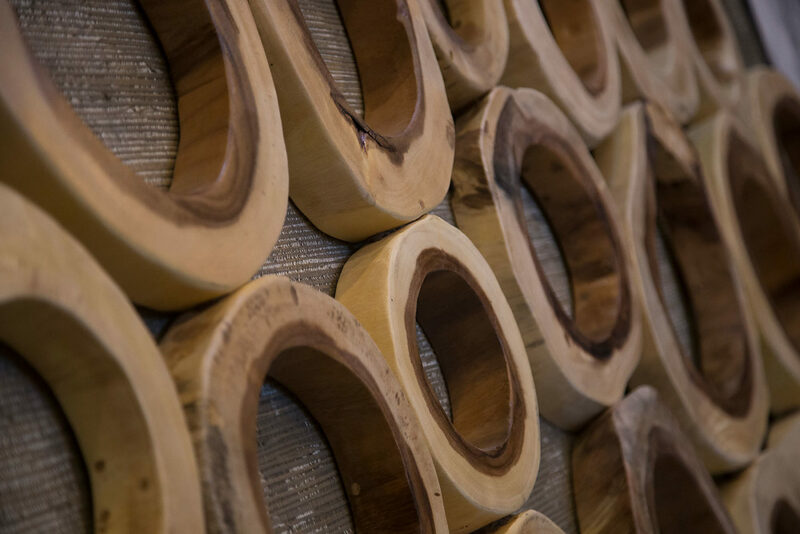 The focal wall was finished with distressed white wood boards that continue onto the ceiling to meet three patented shoe drawings on a black painted ceiling. 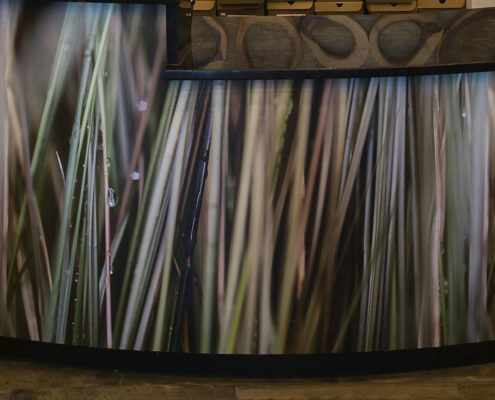 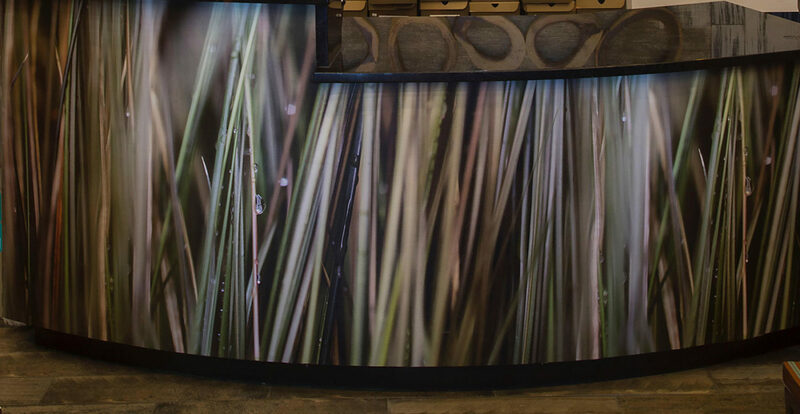 A grass graphic was applied to the cash wrap, while rope lights and white hook pendants lead guests in to browse.